How to flip a Camera image upside down? 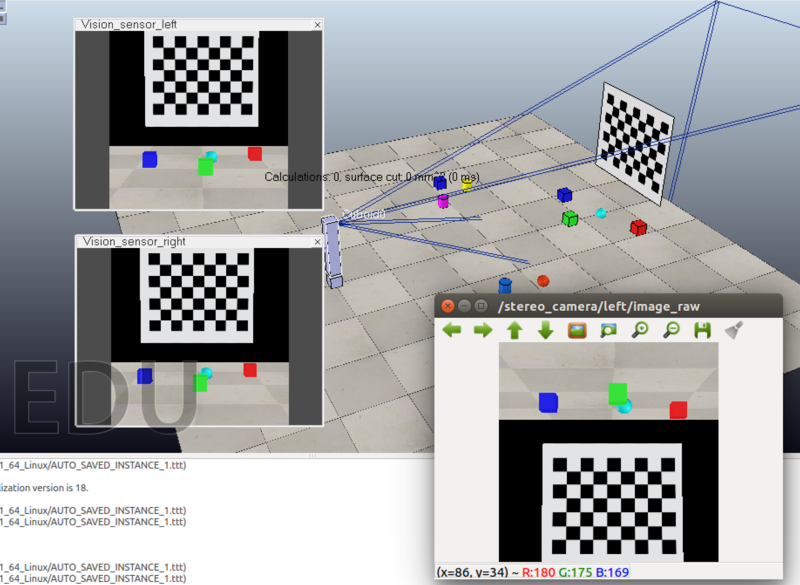 I'm using V-REP to generate a simulated environment for a robot to function in, and have two vision sensors being used as stereo cameras to be sent to ROS. Annoyingly, when I send the data from V-REP to ROS, the image appears flipped (upside-down). Since I have to use stereo_image_proc anyway, is it possible to form the CameraInfo such that the normalised image will be flipped back in the correct direction? Or any other possible way to flip the camera on the ROS side of things? Within ROS you could define the TF frames for your cameras as being inverted. Note that image processing expects an frame ID with the _optical suffix, which uses a different orientation convention than normal ROS frames of reference. What are the parameter naming conventions for packages? using camera sensor in Gazebo.